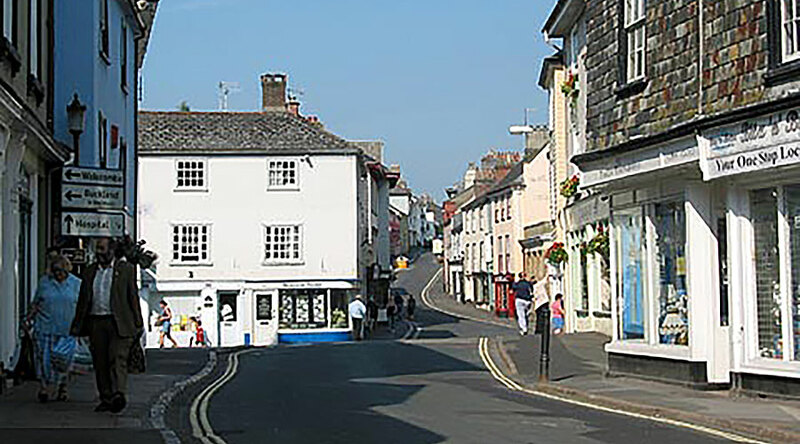 The nearest town to Webland Farm, approximately 6 miles away, is the historic town of Totnes, one of Devon’s gems. 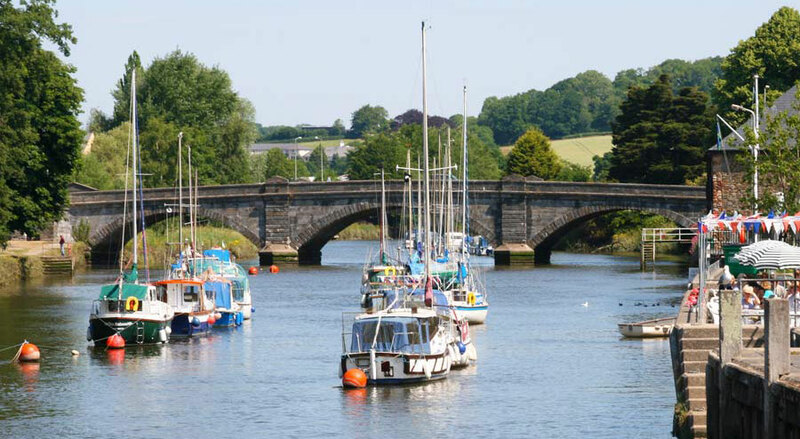 Based on the River Dart, Totnes is full of historical buildings dating back to Norman, Medieval and Tudor ages, and is overlooked by Totnes Castle, originally built in Norman times. 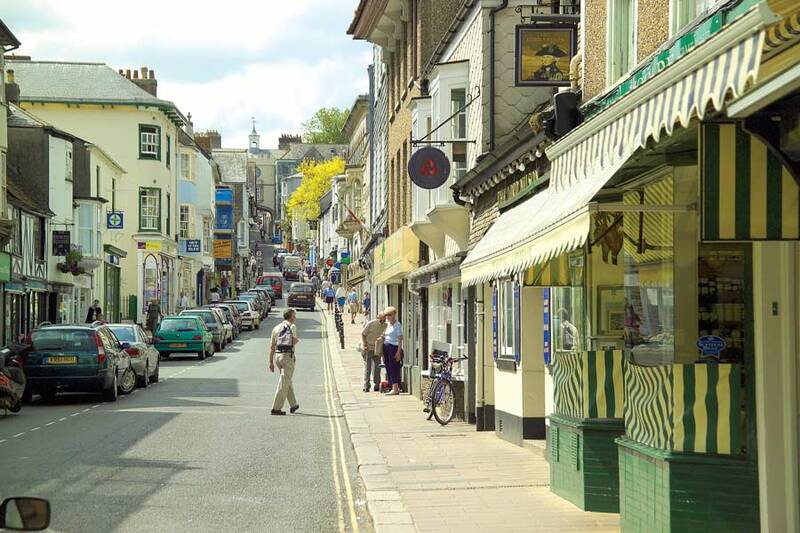 Totnes has had a long and successful history. Based at a strategic position on the River Dart it was originally a fortified settlement to defend against Viking raiders. 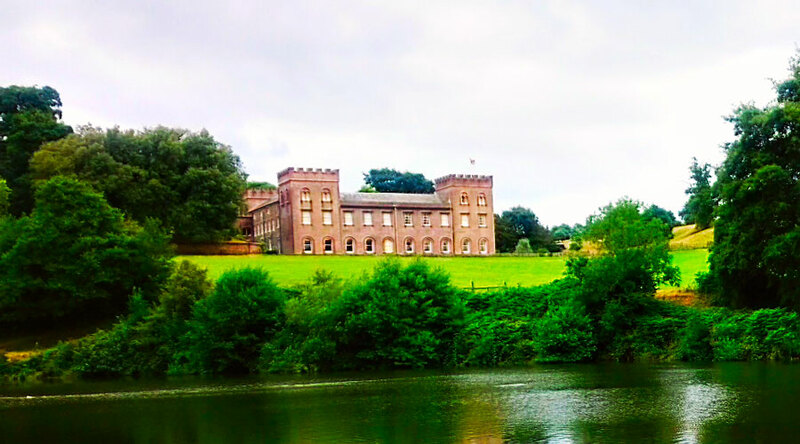 Legend also has it that after the Trojan War, Brutus and his followers set out to find an island promised to him by the goddess Diana, and that they stepped ashore at Totnes. The ‘Brutus stone’ where he is reputed to have landed can be found in Fore Street. 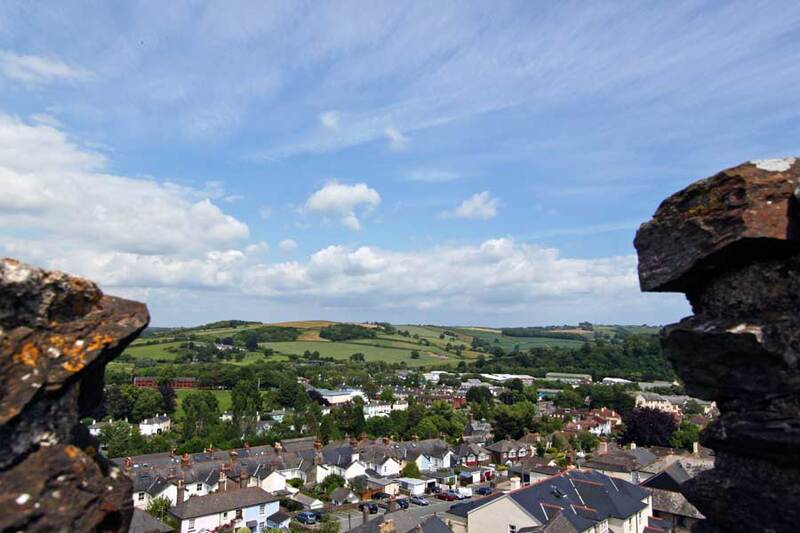 Totnes Castle provides excellent views of Totnes and the surrounding countryside. It is one of the earliest stone castles to be built in Devon, and is one of the best-preserved examples of a Norman motte and bailey castle to be found today. There is also plenty to see in the streets of Totnes. There are the ‘Narrows”, a series of narrow streets that date back to medieval times; there are ancient wells with spring water flowing into granite troughs; there are museums and excellent examples of period architecture; and there is a bustling market and a variety of pubs, cafes and restaurants to suit your taste. 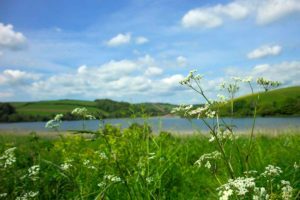 The River Dart, running through Totnes, also provides a scenic area to spend some time, and even take a boat trip down the Dart to Dartmouth. 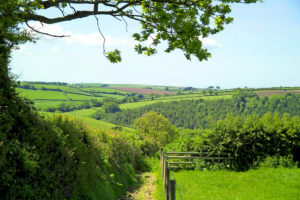 The South Devon Railway also runs between Totnes and Buckfastleigh, giving you the opportunity to take a steam engine ride through some beautiful South Devon countryside. Ashburton is a Stannary Town and one of only four in Devon. The Stannary Towns were essential for the tin trade as they approved the quality of the tin before it was made available for sale. Tin was mined around Ashburton from Roman days but fell into decline in the 18th century. At its peak in the 16th century, around 40% of the tin produced in Devon went through Ashburton. 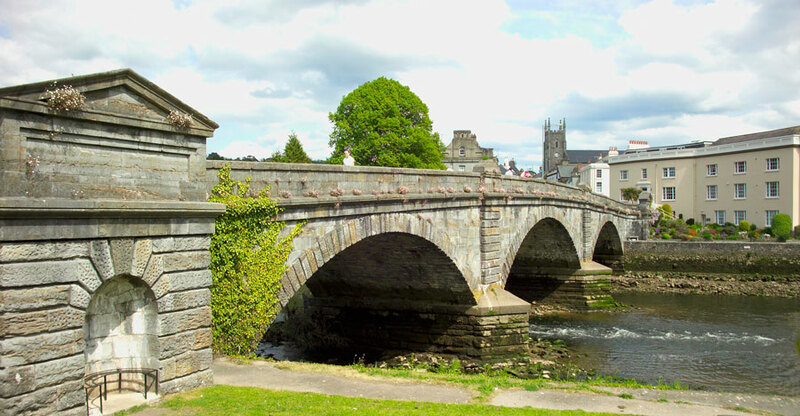 Now a lively inland town, Ashburton has a range of specialist shops for walkers, plenty of antique shops, galleries and a variety of places to eat. In July there are ceremonial events from the stannary days, including an ale tasting and bread weighing ceremony. There is also a museum covering the history of mining and wool processing in the town. The Chapel of St Lawrence is one of Ashburton’s oldest and most interesting buildings and dates back to 1314. Newton Abbot’s development came in the 19th century and it is now one of the largest shopping centres in South Devon. Attractions include Ugbrooke House (shown above) set in a Capability Brown garden and Stover Country Park, with the recently added Ted Hughes Poetry trail. Nearby are Canonteign Falls, England’s highest waterfall, the Centre for Contemporary Arts and the Natural World on the top of Haldon Hill. Newton Abbot also has a popular National Hunt racecourse that holds regular race meetings throughout the year. 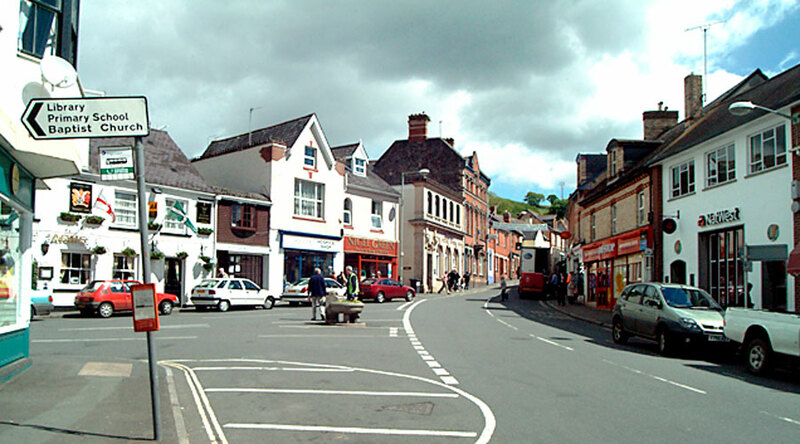 Bovey Tracey is one of the main gateway towns to Dartmoor on the eastern side. It is a pretty cob and Dartmoor-granite built town. Situated on the River Bovey it is home to an internationally famous gallery in a 19th century water mill. A small market town on the old route between Exeter and Plymouth, Buckfastleigh was a centre for the wool trade. 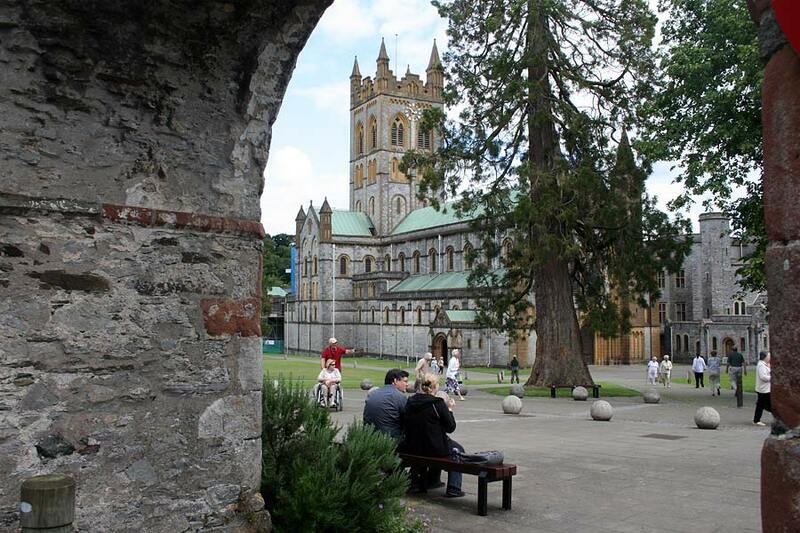 At Buckfast, about a mile to the north, is Buckfast Abbey. Founded in the 11th century by King Canute, the Abbey is an active Benedictine Monastery and is open to the public. You can take the South Devon Railway heritage train from Buckfastleigh along the Dart Valley to Totnes or the Buckfast Heritage Bus to the Abbey and the town. South Brent is another gateway town into Dartmoor on the eastern side, and the closest one to Webland Farm. 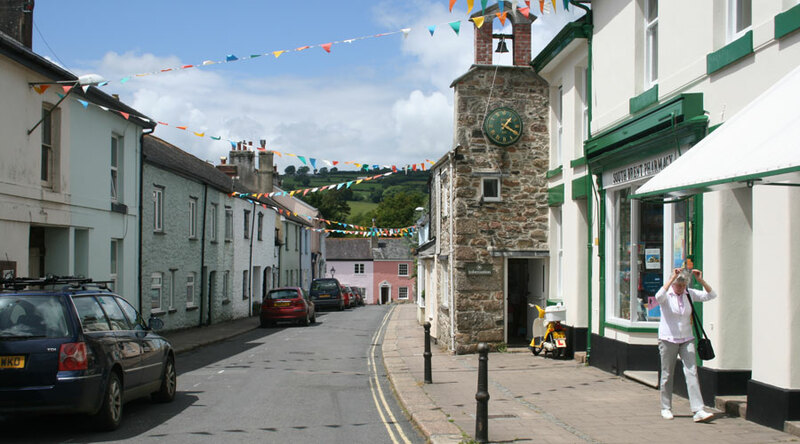 The village centre is in fact within the boundaries of Dartmoor National Park. It is a thriving community with shops, pubs and restaurants. A lively community, it enjoys both summer and winter carnivals, and so there is often bunting across the streets! The town features a massive Norman tower of St Petroc’s Church, this tower being what remains of what was a larger curch building. 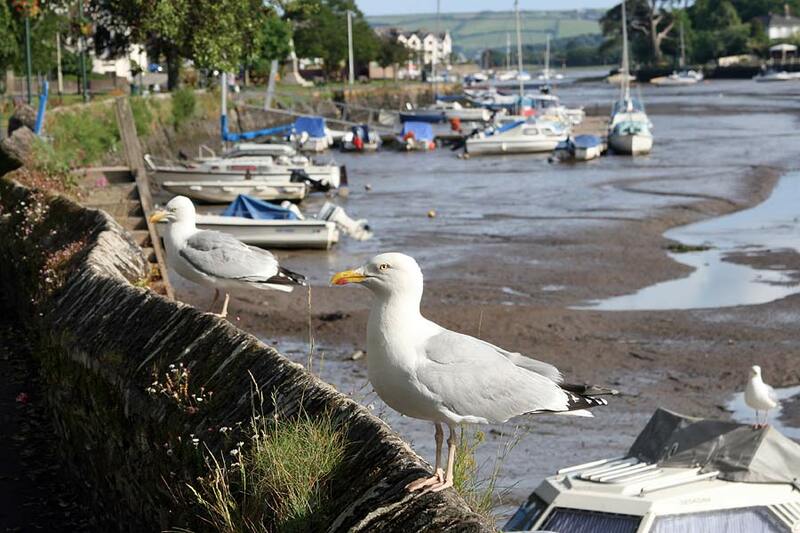 Regarded as the capital of the South Hams, Kingsbridge has a long history, and was famous for its shipbuilding and rope making. There are regular markets and a monthly farmer’s market. 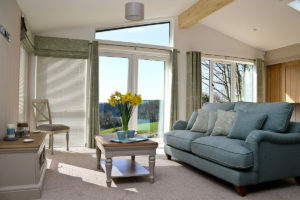 More details at Hello Kingsbridge. 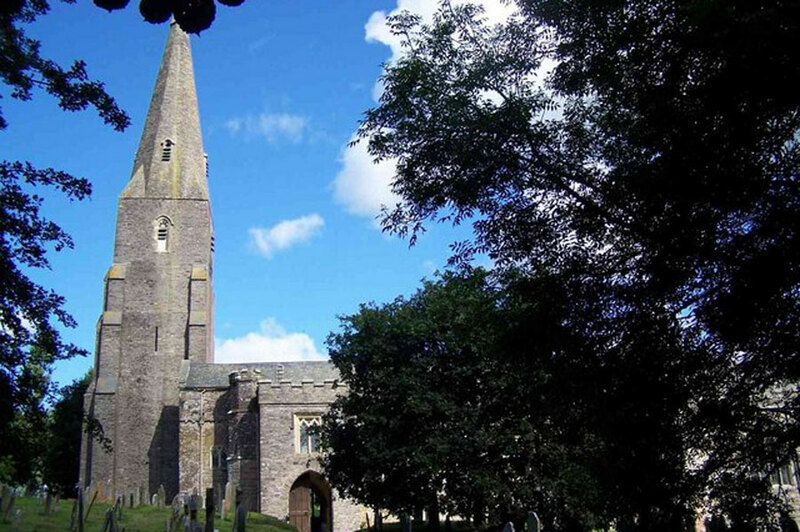 Modbury is a delightful Devonshire market town that was a famous wool centre and the site of civil war battles. It has some very attractive Georgian and Victorian buildings, and a good range of restaurants, pubs and shops to enjoy. St George Church (above) is also well worth a visit for some quiet time, the majority of it dating back to the 14th century.